Labor Day, the first Monday in September, not only does it mark the end of the summer and the back-to-school blues, it’s a creation of the labor movement and is dedicated to the social and economic achievements of American workers. We celebrate a yearly national tribute to the contributions workers have made to the strength, prosperity, and well-being of our country. I are introducing the world’s fastest growing tech community; (SmartTechPeople.com) for all your networking and recruitment needs. We would like to invite you to search our candidate base of passive and active jobseekers and post your Tech open positions, all free of course on our new Community/ Career Site,SmartTechPeople.com. Recently, I've been thinking about conversation and the best ways to have it online. I am hardly the world's greatest advocate for for reasoned discussion. I am particularly good at taking a strong position and working to defend it. I know, however, that my favorite approach is only useful in limited circumstances. More often, reasoned conversation is the way to effective communication. On October 4th, 2007 at 8:11am in the morning, I created the Wireless Jobs Group on LinkedIn. The candidate will be responsible for working on Data Domain’s core File System and Compression technology. Design and Develop systems software for Data Domain products. Tandel Systems has extensive experience developing real-time aerospace and defense systems. We have the project management skills and the systems engineering capability to work with our customers to deliver fully tested real-time hardware/software capability for defense, space and civil aviation systems. 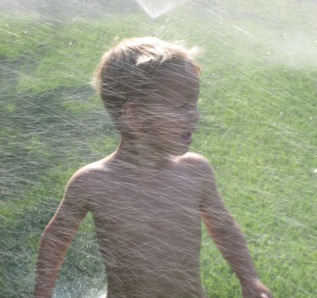 "Want to Run NAKED through the Sprinklers with Me?" What's stopping YOU? Urban Outfitters has recently restructured and filled what was formerly one vacant president position for its Anthropologie brand into two senior-level management positions. After a lengthy and deliberate search for the Anthropologie vacant president position, they have concluded that a combined leadership structure was the optimal approach for furthering the brand's North American development. As far as chit-chat and spit-spat go, this week has been one of the most active in the forums. With a cross section of topics, points of view and personalities clamoring for a voice John reminds us how to play nice. Add your thoughts and comments to John's list of 10 "rules of engagement:"
I'm a sucker for a good, fun post, and Ali Hale (Brazen Careerist) knows how to deliver. Yep, every office has the resident DQ. You know, the one that turns every mishap into a major catastrophe. When people are looking for a job, they tend to spend a lot of time writing and revising their resumes and preparing to answer job interview questions. However, even employers who accept resumes from applicants are going to ask job candidates to fill out an application prior to making an offer. Properly completing a job application form can make the difference between getting an interview and being overlooked. Here are some tips for interview. HR Interview: The main objective of this interview is to get the technical interview or invited to an in-person interview.This interview is to determine the person's personality and team work.Warm up your voice and vocal cord---it may help to make you sound more confident, firm and pleasant. Your voice tells many things about you. We would like to invite you to post your administrative open positions, free of course on our new Community/ Career Site, SmartAdminPeople.com. Our unique approach to the Network/Recruiting is constantly expanding and developing through video resumes , and individual online portfolios. With such resources, this allows members to expand their skills, market their products, and create a buzz on the discussion boards. Recruiting takes a holiday? NEVER! Recruiting takes a holiday – leverage your position! Woo-Hoo – a Holiday, Right? I mean, you’re probably thinking about staying up all night Sunday (probably trying some Jello Shot recipes) watching the Muscular Dystrophy Telethon and closing Monday afternoon out with a BBQ. It's been an interesting few days for calls from the past. Within the last 9 days I've received a call from a former co-worker looking for a job, a frustrated friend trying to get "that interview," an Army buddy interested in a career change, and a fellow recruiter wanting to talk about unrealistic time lines. Tonight I return home with some thoughtfulness and perspective. 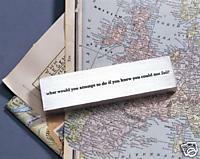 It would seem I have had a lot of opportunity to do this lately, think, ponder and deliver. I recently sat down to review a few things on my recent list of career goals, revisiting my perspective on what I really, really wanted out of where I was going and where I had come thus far. It is a lively action to do this, I think every time I do, I remember very clearly what brought me to these new days. I'm looking for HR, Career, staffing, recruiting, sourcing professionals who want to volunteer their time and give good career advice to those who need it. There are literally thousands of entry level, intermediate and professional workers that can use the advice of Human Resource professionals. If you feel a need to help others please join me in giving out advice to those in need. For all of the law school recruiters, law firm recruiters and law students going through the hectic, stressful time of on-campus recruitment, please checkout the link below. It is a discussion between the Chair of Cleary Gottlieb Steen & Hamilton's Recruiting Committee and two law students about the recruitment of the top law firms of the country's best law students. Enjoy.